Local Progress is the network of progressive elected officials from cities and counties around the country. Hand-in-hand with community-based organizations and unions committed to advancing a social justice agenda, Local Progress is facilitating genuine “inside/outside” strategy to reforming municipal policy and politics. With conservatives in power in the halls of Congress and state capitals, local governments are the leading edge of the national progressive movement. Local elected leaders are creating new policy solutions, resisting federal and state policies that harm our communities and becoming the next generation of political leadership our country needs. Founded in late 2012, and staffed out of the Center for Popular Democracy, Local Progress has built a powerful network of hundreds of local elected officials in nearly every state who are committed to reclaiming the power that cities and counties have, and advancing our shared vision of shared economic prosperity, equal justice under law, livable and sustainable communities and good government that serves the public interest. The network includes the progressive champion mayors of large cities like Newark, New Orleans, New York, Pittsburgh, and Philadelphia and the leading progressive councilmembers from cities as diverse as Austin, Baltimore, Dallas, Chicago, Denver, Miami, Nashville, Philadelphia, and San Diego. The network also includes district attorneys, county commissioners, and elected officials representing small cities, rural towns, and school districts. To replicate the best policy and governance practices across cities. We do this by sharing innovative ideas throughout the network, helping legislators and advocates tailor them to their legal and political environment, and together designing strategies to win policy reforms. To engage in strategic leadership development of elected officials. We work to build the substantive skill sets, strategic vision, and coalitions and networks needed to empower members to advance a progressive municipal agenda in their cities. We support their growth as they govern successfully and advance in their careers to higher levels of elected office. To connect elected officials across cities to work collectively to impact state and federal policy. 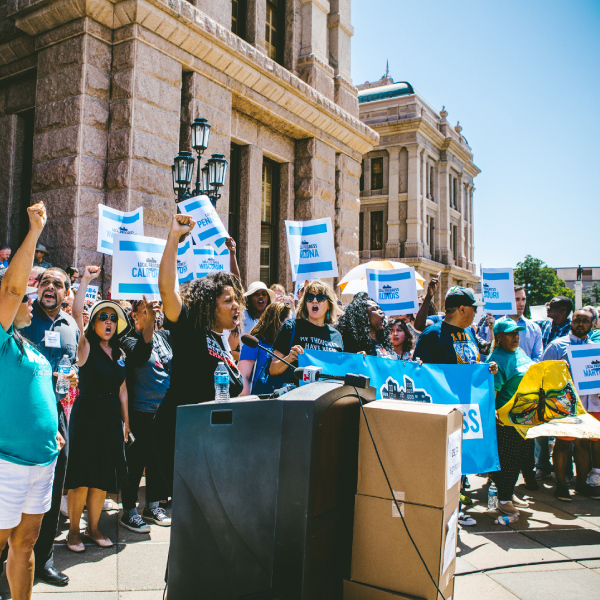 By coordinating campaigns trans-locally, we can influence state and federal policy and build a national movement of elected officials working in deep collaboration with progressive movement organizations. Decades ago, corporate investment in ALEC and similar networks helped the conservative movement develop ambitious leaders and transformative public policy at the state level, with major national implications. But the same has not happened on the progressive side of the ledger. Our national movement has failed to invest sufficient attention in both the long-term development of the candidates it works hard to elect, and in the promise of local policy. Local Progress is filling that gap, providing long-term leadership development to our country’s most promising progressive political leaders and accelerating policy progress across our cities. The guiding principle behind Local Progress is that building political power and winning progressive victories requires “outside” agitation from strong community and labor advocates and “inside” negotiation by elected officials committed to the movement, with tight coordination between the two. Local Progress is working to build the capacity of “inside” elected official actors, and works in deep partnership with community-based organizations, progressive unions, movement organizations and policy advocates to strengthen connections and shared strategy between “inside” and “outside” actors. To learn more and to join Local Progress, please visit localprogress.org. Follow Local Progress on Twitter @LocalProgress and like Local Progress Network on Facebook for the latest news updates.